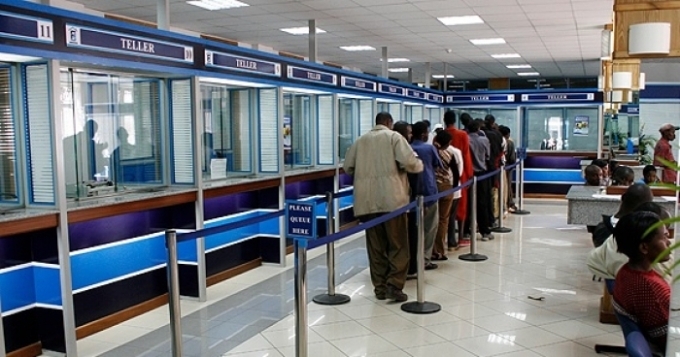 Between 2011 and 2014, 700 million people in the world became account holders at banks, other financial institutions, or mobile money service subsccribers, and the number of “unbanked” individuals dropped by 20 per cent to two billion adults, says a new report released yesterday. “Access to financial services can serve as a bridge out of poverty. We have set a hugely ambitious goal – universal financial access by 2020 – and now we have evidence that we’re making major progress,” said World Bank Group President Jim Yong Kim. Between 2011 and 2014, the percentage of adults with an account increased from 51 per cent to 62 percent, a trend driven by a 13 percentage points rise in account ownership in developing countries and the role of technology. In particular, mobile money accounts in Sub-Saharan Africa are helping to rapidly expand and scale up access to financial services. Along with these gains, data also show big opportunities for boosting financial inclusion among women and poor people. The findings come in the latest edition of the Global Findex, the world’s most comprehensive gauge of progress on financial inclusion. Financial inclusion, measured by the Global Findex as having an account that allows adults to store money and make and receive electronic payments, is critical to ending global poverty. Studies show that broader access to, and participation in, the financial system can boost job creation, increase investments in education, and directly help poor people manage risk and absorb financial shocks. The 2014 Findex found there is still more work to be done to expand financial inclusion among women and the poorest households. More than half of adults in the poorest 40 per cent of households in developing countries were still without accounts in 2014. And the gender gap in account ownership is not significantly narrowing: In 2011, 47 per cent of women and 54 percent of men had an account; in 2014, 58 percent of women had an account, compared to 65 per cent of men. Regionally, the gender gap is largest in South Asia, where 37 per cent of women have an account compared to 55 per cent of men (an 18 percentage point gap). “Among those of us passionate about advancing access to financial services for the poor, this landmark new edition of the Global Findex provides data that allows us to see what is working, what isn’t, and how we can focus our efforts most effectively to reach the goal of universal financial inclusion,” said H.M. Queen Máxima of the Netherlands, the UN Secretary-General’s Special Advocate for Inclusive Finance for Development and a strong early proponent of the power of data to drive financial inclusion. In 2011 the World Bank — with funding from the Bill & Melinda Gates Foundation and in partnership with Gallup, Inc. — launched the Global Findex in over 140 countries to study how adults save, borrow, make payments and manage risk. This update of the Findex tracks progress on global financial inclusion over time, including on the gender gap. One way to rapidly expand financial inclusion is new technology, particularly mobile money accounts. Consider what is happening in Sub-Saharan Africa: It is the only region where on average more than 10 per cent of adults report having a mobile money account. In 13 countries, usage exceeds 10 per cent and, among those, Cote d’Ivoire, Somalia, Tanzania, Uganda, and Zimbabwe have more adults using a mobile money account than an account at a financial institution. Technology also can spur account usage and transform the way domestic payments are made, a new topic probed in the 2014 Global Findex. For instance, 355 million adults in developing countries with an account report sending or receiving domestic remittances in cash or over the counter, including 35 million in Sub-Saharan Africa. Moreover, 1.3 billion adults with an account in developing countries pay their trash, water, and electric bills in cash, and over half a billion adults with an account in developing countries pay school fees in cash. Access to digital payments, through a mobile phone or point-of-sales terminal, creates opportunities to provide more convenient and affordable payment options. The 2014 Global Findex also explores financial resilience. People were polled about how they would pay for an emergency requiring spending the equivalent of one twentieth of their annual income, assuming they would need access to the money within a month. Globally, 76 percent of adults reported that they could come up with the local currency, and 28 percent — 1.2 billion adults — in developing countries report they would use their savings in case of an emergency. Yet 56 percent of these adults do not save at a financial institution. “Having a source of emergency funds when calamity hits, whether the death of a family member, a medical emergency, or a natural disaster, can keep people from falling into extreme poverty and my hope is that access to formal savings instruments — providing a safe place to save-can be made easier and less onerous for people at the bottom 40 percent of societies everywhere,” said Asli Demirguc-Kunt, World Bank Research Director, co-author of the Global Findex 2014. Leora Klapper, Lead Economist in the Research Group, manages the Global Findex and co-authored the research report. Kenya leads with mobile money account ownership at 58 percent, while Tanzania and Uganda have rates of about 35 per cent. Thirteen countries in the region have mobile money account penetration of 10 per cent or more. In Cote d’Ivoire, Somalia, Tanzania, Uganda, and Zimbabwe, more adults have a mobile money account than an account at a financial institution. In Kenya more than half of adults who pay utility bills use a mobile phone to do so.